In the most recent disclosure on Rodriguez’s FINRABrokerCheck report thus far, a customer of Raymond James and Popular Securities brought a FINRA Arbitration #18-02496. Evidently, Rodriguez was the customer’s financial consultant. Allegedly, Rodriguez made poor recommendations specifically about the customer’s purchase of Puerto Rico securities. Additionally, the customer stated that Rodriguez told the customer to hold the investments when the investments and the Puerto Rico financial markets both experienced substantial volatility. Supposedly, the customer should not have invested in those risky investments considering the customer’s risk tolerance. Eventually, on November 27, 2018, the firm settled the customer’s claim for $34,000 without an admission of liability. A customer of Popular Securities, LLC disputed Rodriguez’s sales practices through bringing FINRA Arbitration #17-02479. Specifically, the customer claimed that the financial consultant made problematic investment recommendations. Like the other customer, Rodriguez reportedly advised the customer to purchase Puerto Rico securities. Allegedly, the customer maintained excessive concentrations in those investments. Apparently, this exposed the customer to risks that the customer did not agree to take. Additionally, the customer claimed that the investments did not match the customer’s goals of protecting principal. Also, the customer contended that the unsuitable transactions were particularly unacceptable due to Puerto Rico’s economic conditions at the time. Because of this, the customers alleged $2,600,000 in this pending matter. A Popular Securities, LLC customer brought FINRA Arbitration #17-01690 on June 26, 2017, alleging unsuitability. Particularly, Rodriguez allegedly advised the customer to buy and hold closed-end funds and bank bonds. Because of this, the customer supposedly had an unnecessarily high risk investment portfolio that did not match the customer’s risk tolerance. Additionally, the customer claimed that Rodriguez told the customer that the closed end funds and government debt investments were principal protected. As a result, Popular Securities, LLC opted to settle the customer’s claim on March 26, 2019 by paying the customer $70,000. Experienced losses by investing with Raymond James broker Jorge Rodriguez? Contact Soreide Law Group at (888) 760-6552 and speak with experienced counsel about a possible recovery of your investment losses. 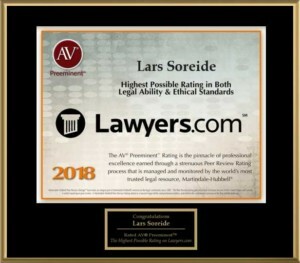 Soreide Law Group represents clients on a contingency fee basis and advances all costs. The firm has recovered millions of dollars for investors who have suffered losses due to misconduct of brokers and brokerage firms.